As a citizen of a European Union State, you have the right, in certain circumstances and under certain conditions, to seek treatment in other European States, as well as apply to the NHS for reimbursement of treatment costs. Budapest Medical Services is a private service provider, therefore we perform operations that reduce or avoid the normal waiting list period; we can secure appointments even for hip or knee replacements within a fortnight. Seeking treatment via Budapest Medical Services under the EU Directive route, then we can also help you claim reimbursement from the NHS for treatment costs. 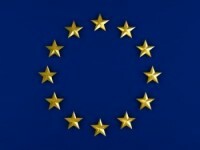 What is the EU Directive route? In March 2011, the European Directive on the application of patients’ rights in cross­border healthcare was adopted by the European Parliament. This Directive clarifies the rights of EU citizens to seek treatment in other EU member states. The EU Directive gives you the right to access healthcare services in another EEA country as long as the treatment is medically necessary and would be made available to you under your own NHS. The Directive has been created to support your rights to choose treatment anywhere in the EU, however it is not intended to facilitate that decision. This means that although your local healthcare provider may fund your treatment, they will not arrange treatment or recommend providers in other countries. It is your decision to seek healthcare outside of your home state and therefore it is up to you to source that healthcare and make all arrangements. In most cases prior authorization may be required. This will confirm whether you are entitled to the treatment and the level of reimbursement you can expect. This does not constitute a recommendation of your chosen provider and carries no care duty for the home state. Prior authorization only confirms that your home state has agreed to reimburse the costs of your healthcare in another country. In most cases, you will have to pay the costs upfront. You can claim reimbursement upon your return, up to the amount the treatment would have cost under your state system. After treatment, you should be welcomed back into your own country healthcare system for after care on the same basis had you has been treated there. Budapest Medical Services is a private service provider, therefore we perform operations that reduce or avoid the normal waiting list period; we can secure appointments even for hip or knee replacements within a fortnight. Seeking treatment via Budapest Medical Services under the EU Directive route, then we can also help you claim reimbursement from the NHS for treatment costs.